That line, repeated with self-recognition many times over by English majors, professors, and grad students comes from Tom Townsend, the hero of Whit Stillman’s first movie, Metropolitan. Stillman’s characters are masters of the one-liner and the Wasp vernacular. Our culture may prefer Simpsons quotes, but a sampling of Metropolitan’s script, taken from IMDB gives voice to a different form of wit, one that comes from an ever-shrinking minority: “It’s a tiny bit arrogant of people to go around worrying about those less fortunate.” “Snobbery is looked down upon.” “Playing strip poker with an exhibitionist somehow takes the challenge away.” “Men are dates, date substitutes or potential dates. I find that dehumanizing.” The one percent can be hilarious. 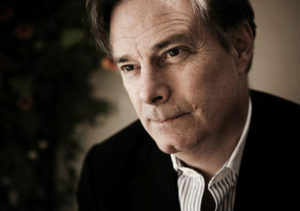 After Metropolitan, Stillman directed two higher-budgeted films, Barcelona and The Last Days of Disco, historical films about the 1980s. Disco was followed by a companion novel, The Last Days of Disco with Cocktails at Petrossian Afterwards. After a long fallow period—in Stillman’s words “barren”—working in England, trying to get scripts produced, he made Damsels in Distress. This year sees the release of Love and Friendship, an adaptation of Austen’s early novel Lady Susan. It may be the best Austen adaptation of all time, or at least the funniest. The film is accompanied by a novel of the same name which reworks Stillman’s screenplay. In the novel, Stillman introduces a buffoonish narrator, Rufus Martin-Colonna, a character worthy of Austen herself. The back of the volume also contains the full text of Lady Susan. I talked to Stillman by phone on Sunday, June 20. This is a pared-down version of a one-hour conversation. Paul Morton: You chose to adapt what is considered to be one of Jane Austen’s less perfect works. I don’t know if you could have taken as many liberties with Pride and Prejudice or Emma. Whit Stillman: I think Lady Susan is less flawed than it looks. I think it works quite well in the adaptation. If someone needs to analyze how close the movie is to the original work, how closely it captures the feel of the work, they should read [the book after they’ve seen the movie]. They shouldn’t read it before, because I think it would kill the movie. I’ve particularly liked adaptations of novels I really hated. The World According to Garp and Howards End. In Love and Friendship you didn’t [seem to] make a Matthew-Weiner-in-Mad-Men-esque attempt to get every single detail of the past correct. Except the essentials. That almost always goes. When people try to get every single detail of the externals they’re missing the internals. So you want to avoid the obsessive game of getting every single detail of the past correct? No. I think we are getting everything correct…Did you see anything incorrect in the movie? Matthew Weiner would go on the set of Mad Men and throw out fruit that didn’t look right for the 1960s. Or he got the train schedule between Ossining and Manhattan. If you can do that without killing yourself, that kind of stuff is great. Because you never know if that might be significant somehow. I saw Mad Men once. And I just saw all the characters cavorting on horses in Greenwich, Connecticut or New Canaan. And it was the same old corny version of rich people, which didn’t seem real at all to me. Look, it’s not a show I follow. But I think it works and it’s fine. It was one little scene in the one episode I saw. And I just thought I wouldn’t have done the scene that way. What are the clichés or mistakes that we make when we depict the rich in novels or movies? There are certain things that are endemic. There are certain scenes where I’m thinking, “My god, this is like a Lifetime movie.” When people are having a party and they’re celebrating, they’re clinking glasses of champagne. Or [if] there’s a very successful author, they’re being interviewed and there are journalists running around. There’s always things being done in a certain kind of trashy or not-trashy TV version of things. And it bothers you because they are misrepresenting your people. Well, in that case it’s just some sort of generic corn. There are people who watch too much TV and then get rich and act the way stupid rich people act on TV. You have presidential candidates who watch these Lifetime movies. Jane Austen writes in long sentences and she uses a lot of passive voice. The dialogue is often very long and it can imitate Socratic dialogues. Your adaptation of Jane Austen sounds Whit Stillman-esque. How closely did you study the language to figure out how much of it would be you and how much of it would be her? I didn’t feel like I had to study it. I was immersed in her texts for ten years. Ten years fiddling with her words, rearranging them, cutting them and trimming them, reordering them and adding to them. It’s interesting talking to you, because you’re engaged in academic endeavors and you’re seeing things in a way that I would never see them. It’s like going into a garage and there’s a mechanic there who has disassembled your favorite car. I don’t know if this has any relevance, but when I was writing Metropolitan I would stop and read passages of Pride and Prejudice as a palette cleanser. When you were reading Pride and Prejudice, were you thinking more about the language or less about the language? Do you remember? I think I was thinking more about her point-of-view, her regards towards character and narration…I don’t know. It felt good to read it. Was Rufus Martin-Colonna supposed to be your voice? Was that supposed to be you in some way? You think I’m an idiot. You think I’m deluded? No, I wonder if that was you making fun of yourself if you were an idiot. Got me there. It’s sort of true. I have a lot of thoughts and beliefs that would be comical to anyone else. And therefore I can disguise them in this foolish character who says foolish things. I probably believe a lot of the stuff he says. Is he ever aware of the joke? I had the memoir from Jane Austen’s nephew and that whole pompous tone [was in it]. And then I [discovered] the character of Sir James Martin. Those scenes were written during the film. He really loomed large during the shoot and during the edit. And so then [I had the] idea of combining this Martin-esque foolishness with this pretentious nephew defending his aunt and uncle. Were you thinking of Lady Susan in terms of these heroes in eighteenth-century plays, Sheridan plays, which starred these caddish figures who were very charismatic? I would like to say I was, because that would seem very erudite. I’ve read a lot about Sheridan. But I can’t say I read his plays. I don’t think I’ve read any of those plays. I like the idea of them. Pulling a Tom Townsend here. I always thought that Lady Susan’s charm was very Oscar Wilde-an. Ahead of her time. In a film, you are looking at the costumes and the manor houses and the furniture. And we are always interested in the lighting of the late eighteenth century. You don’t get any of that in the novel. Reginald is there. You don’t write any lengthy details about what he’s wearing. I hate description. It’s one of those things I like about film. You don’t have to describe anything. Why do you hate description? I think it’s really boring. And Jane Austen also hated it. There’s almost no description in Jane Austen. Was this experiment with Austen an attempt to escape to Europe in a way, to get inside the minds of European characters. In Barcelona you were getting inside American characters in Europe. No. Because I think we are as close to Jane Austen as the English are. So she was born in 1775 and she is our literary ancestor just the same as she is theirs. And I think the case could be made that we are closer to Jane Austen than the modern-day English are. I really can’t argue points. I can only state them. I don’t have the rationality to defend my point- of-view generally. That’s why I make comedies. I just think emotionally and intellectually in our simplicity and lack of sophistication and religiosity maybe…There’s a strong connection which is at least as strong as the geographical one that the English have. You can’t explain it beyond that? I see it in the language. I think [British] English to me has gone in an eccentric, slang direction that I don’t really understand thoroughly. Maybe that’s just my parochialism. I don’t know. When I read Jane Austen I don’t feel like I’m going to some far person’s world. I think linguists have made this point that perhaps how some Americans speak is closer in ways to the English of Jane Austen’s time. The posh accent used in period films is not the way people actually spoke in the eighteenth century in this class. The posh accent was a late nineteenth century invention—but it is now what we understand as proper English. If in period films we tried to approximate how people might have actually spoken in the 1790s it would seem to us false and weird. There is a way in which your films call into question [the act of] thinking about the outside world and suffering that you can’t see. I call into question vain declarations about things that you’re not going to do anything about. So why talk about it if you’re not going to do something? Any thoughts on what’s going on on college campuses at the moment? I don’t know much about it. I’ve always fantasized about getting some group of friends together and starting some sort of institute next to a really established academic institution like Harvard. Just have a really good academic program and not pay attention to anything else that’s going on. Just have the kinds of courses that I’m not sure if they have that much of anymore. For me, this film comes out of a course I had, Professor Walter Jackson Bate’s “The Age of Johnson.” He was Samuel Johnson’s biographer and he taught a wonderful course about eighteenth-century British literature. And I think one reason to love Jane Austen is that she is the fictional literary representation of the thought of Johnson. He finally did not succeed in literature, but he was a great personage and thought leader. And I think she admired him greatly and took a lot of his thinking and put it into her novels. So I’d love other people to have those courses too. And are you trying to make those courses happen with a movie like this? Yeah. I like that when you make something like this, it’s course materials in the form of a silly comedy.